Brass Classics reflects the colourful and exotic world of the brass repertoire and its performers. Presenting some of the finest artists, composers and arrangers, Brass Classics mission is to offer a valuable contribution to the existing recorded and published collections, stimulating and inspiring musicians and music-lovers of all ages throughout the world. 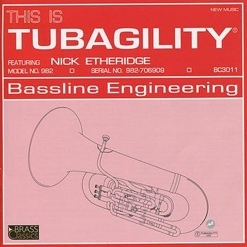 The label hopes to offer an eclectic mix that covers all genres and performing styles, showing the very best from the brass world. 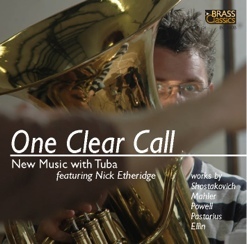 Brass Classics recordings are distributed through its worldwide land-based network of partners and are available for download from over 250 websites distributed by the Independent Online Distribution Alliance based in San Francisco. In addition to its own promotions Brass Classics can offer a recording solution to artists who wish to make available their work to a global audience and collaborates with artists in promoting existing or back catalogue material. Project management is dealt with meticulously and sympathetically leading to a marketing strategy specifically focussed towards the specialism of the performers. Brass Classics also works closely with Brass Wind Publications, a specialist UK-based music publisher, and offers many of its editions for brass on their web portal. Repertoire development is a key part of the Brass Classics ethos. New ideas and concepts are always considered by the artistic team. If your idea needs a global market then contact Brass Classics at the above address.